This is a new series called FRED - Wizard in Training by the very funny writer Simon Philip. Publishing in February with Simon and Schuster. This is the first in the series. I was delighted to be the illustrator of Jo Simmons' middle grade book The Dodo Made Me Do It. Out now with Bloomsbury. Billy Button Telegram Boy Sally Nicholls, July 2016 from Barrington Stoke. I was shortlisted for the Children's Books Ireland Book of the Year Award 2017 for this book. From the Irish Times: "Sheena Dempsey’s delightfully nostalgic and whimsical illustrations, accomplished enhancement of Sally Nicholls' text, and visual interweaving of historical details skilfully conjure the time period, creating a warm and beguiling narrative experience for young readers." 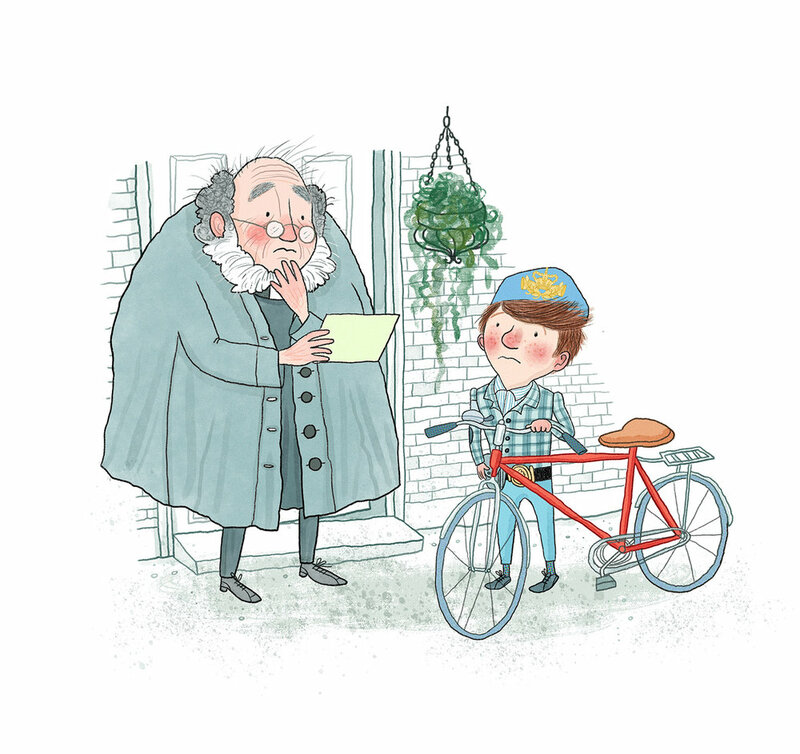 From the Guardian: "This is a little book of infinite, rosy-cheeked charm, in which a stand-in telegram boy plays Cupid to an unlikely couple. With a Milly-Molly-Mandyish feel to its scant text and retro illustrations, it is super-readable fiction of the highest quality."